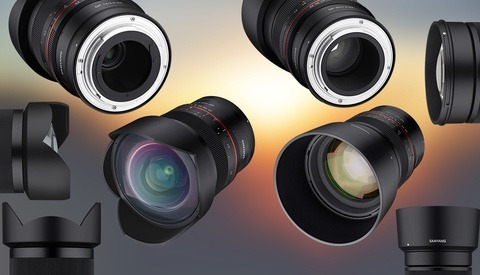 For a while now, Samyang has been producing some very popular lenses. Their lenses are known for being excellent when it comes to optical performance without the premium price tag. This is why so many photographers love their lenses. For the longest time, Samyang has produced lots of high-quality lenses, and I've been interested in them. The only problem was that many of their lenses have been manual focus only, and this isn't ideal, especially with longer wide aperture lenses. 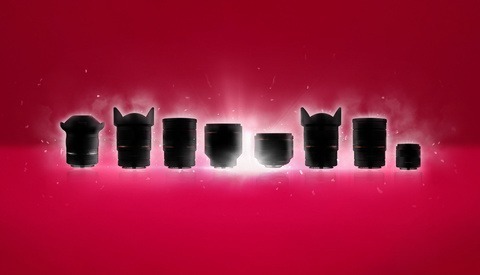 Fortunately, this has changed recently, and Samyang has started to offer more and more autofocus lenses. 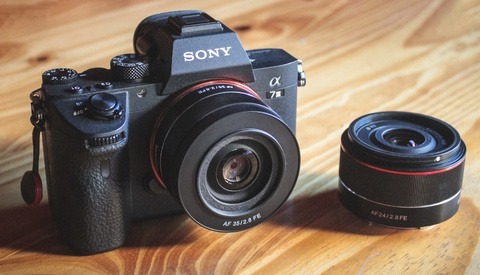 Their most recent addition is the AF 85mm f/1.4 for Sony FE mount cameras. I had the chance to play about with the lens at The Photography Show in Birmingham, and I have to say I am impressed. The lens I had was a pre-production model, so unfortunately, I wasn't able to put an SD card into the camera to review the images in detail. Even still, my first impressions were definitely positive. The weight of the lens is what really caught me by surprise: it's actually pretty light considering the wider aperture. Compared to my Zeiss Batis 85mm f/1.8, it weighed about the same in the hand, which I think is going to quite beneficial. Check out the video linked above to see my first impressions. Bokeh is overrated. So is 85mm focal length. I have no idea how to even process this. How can a focal length be "overrated"? What does that even mean? Can anyone shoot a portrait without a 85mm fx.4? People salivate over this lens whenever a manufacturer releases one. The blurry background is often a crutch not a tool. Show us, post some pics man. I don't have the 85mm Samyang. I dunno man. I primarily use my 105mm f/1.4 these days, but I remember shooting with my 85mm lenses before and I always thought it was a good focal length. The main reason I switched was because when I got the 58mm, the 85mm felt a bit too close to it. What do you use for portraits and why don't you post an example or two? As for people salivating over the lens, you can say that about almost every focal length. I can say for a fact that nothing about this particular lens makes me salivate at all, but that's mainly because I have better lenses. If I was in the market for a budget 85mm f/1.4, this seems like a solid option. I say overrated because so many pros and newbies think that lens will turn crap into gold. You can take a portrait with any lens. I like the 105 and even 135. The 50mm Planar is great. 171 comments and 0 photos to go with this trash profile. Your opinion is overrated because your photography is nonexistent. actually my photography is quite the opposite of "nonexistant" to the clients that pay me very well. I am not posting corporate, paid work on these forums for many reasons. As a business person you should know that your images can easily be stolen when put on on the web. Grow up Mr. Salass. Please hit me up if you need further explanation about how images can be stolen on the internet. Oh, I don't doubt that images can be stolen, but why do you think that people would want to steal YOUR images? "I'm not here to contribute anything meaningful and you'll find nothing in my words or photos that does anything of the sort. I'm just a random guy passing time." I guess you are true to your word. No one can say that I'm not honest about being a troll, but my question was a real one. Besides, you don't take any photos that aren't paid? Lmao you’re really claiming that your images can be stolen as a reason to not post them... you sir must be the Don Juan of Photography. Please don’t post them, I’ll steal them if you’re this good ! Mr. Salass, the content you shoot and the clients you work for are completely different than mine. Sorry but we are in a different league. I could be wrong but I get the feeling you're probably a really well-known photographer who uses this anonymous account to let loose. My clients exist. That’s as straight forward as it gets. 85mm is awesome Yin Ze, gtfo with your tollercoaster tactic. oooh, "gtfo"? are you ten next year? you seem to shoot most of your portraits with a lens that approaches a fisheye. do you even own a 85mm? Reads mini review of cool new lens, gets Billy Joel song stuck in head for remainder of the day.